All of the fab gear you will find on our site is premium quality from reputable brands and we are confident that you will be very happy with your purchase. All orders are hand-picked and checked prior to dispatch to ensure quality. However, in the unlikely event that an item is faulty or you are not satisfied then we would be happy for you to send it back to us. If you wish to make a return, email us first at hello@yogamartstore.com with the invoice number and your details. Then pop your item in the post within 14 working days of receipt of your delivery. All items returned to us must have the original tags, be unused and must still be in the original packaging. Return the item with the delivery invoice, included with your delivery and a note outlining your reason for return. Please make sure to package them well to ensure they do not get damaged on the return journey. You are responsible for the cost of returning the item, unless it is deemed faulty and we highly recommend that you send it first class, insure the value of your goods and get a tracking number. If your item is deemed faulty it will be returned to the manufacturer for inspection and processed accordingly. After receiving your return your credit / debit card / paypal account will be debited within 3 working days and the amount minus the original shipping cost will be debited to your account within 10 working days. Things we love… now available for your practice. You will find a wonderful range of premium quality yoga mats depending on whether you are a beginner to yoga or an experienced yogi you will be sure to find a mat to suit your practice and requirements. Some of our yoga mats are also suitable for Pilates and we will be adding to that range in the coming months. We currently have great mats from Jade Yoga, Manduka and Yoga Paws. We stock great Yoga Bags and accessories from Manduka, Yoga Mat Ties from Brian in Colorado and Skidless hot yoga towels are also available in a range of wonderful colours and styles and with a choice of our own brand towel or a market leading brands Yogitoes and Manduka. We have a beautiful selection of clothes and yoga and pilates accessories to choose from which will also be expanding in 2015. The Onzie and Liquido Active ranges are great for all styles of Yoga especially Hot Yoga, Bikram Yoga and Ashtanga Yoga where you will build up a sweat!! Their gear is also super comfortable for running, spinning and weight training because of the great moisture wicking fabric. We will always welcome feedback so if you are looking for a specific product let us know and we will try to source it for you… The Yoga Trapeze from Lucas at YogaBody Naturals and Yoga Paws from Jamie Getzwiller are also among the great products available from our store. 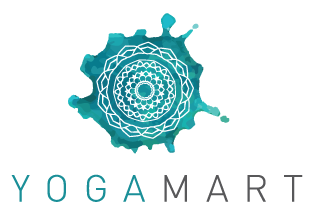 YOGA Mart is an online shop committed to selling as many eco friendly, quality products as possible that we can ethically source for you. We love yoga and pilates and know that you do too! Keep in touch with us on Facebook www.facebook.com/omyogamart and Twitter @omyogamart. Peace and love,To all of you, from all of us at YOGA Mart – Thank you!